Composer, guitarist and vocalist Michaud Savage is a working musician based in Seattle, WA and Berlin, Germany. Michaud is an exceptionally flexible and diverse musician, having worked comfortably in a wide spectrum of musical styles including early to contemporary classical, jazz, pop, tango, rock, blues, latin folkloric musics, and other frontiers. Michaud frequently performs solo and is sometimes joined by the Ancient Present, a modern music ensemble. As a composer, his work includes compositions for chamber ensembles, orchestra, electronics, Max/MSP, and performance art. Michaud studied at the Cornish College of the Arts with Emily Doolittle, Jim Knapp, and Michael Nicolella. Michaud’s studies beyond Cornish include time at The Evergreen State College, where his studies with Terry Setter, Ben Kamen, Arun Chandra, and Sean Williams included an emphasis in Consciousness Studies and Music. Michaud’s relationship with music began early on, singing in a choir and later playing in a youth orchestra. With the help of his grandfather he began playing guitar when he was 11, and quickly adopted this as his main instrument. Throughout high school, Michaud played in the school jazz band on both bass and electric guitar. Towards the end of this time, he started playing with rock and experimental music troupes, deepening his roots and expanding into more challenging territories. 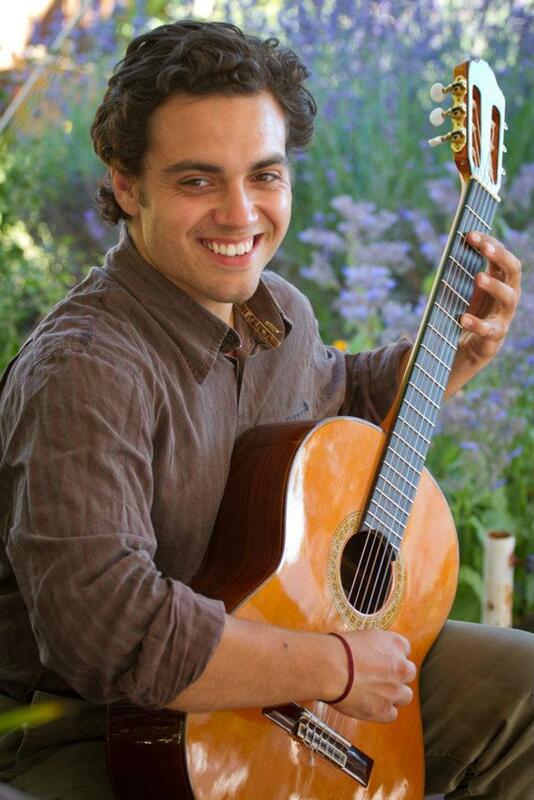 Shortly thereafter, Michaud began to develop his work with the classical guitar and moved to South America to pursue a study of music, specializing in folkloric and indigenous music. Michaud returned to the United States and continued on to form a series of bands and ensembles in the roles of composer, songwriter, guitarist, and vocalist. In addition to a full schedule of performances and his work as a guitarist and composer, Michaud is a music educator, teaching guitar, bass, piano, voice, music theory, and composition. Michaud is currently accepting new students. played with Las Guitarras Negras, a gypsy swing/ manouche trio. had the honor and pleasure to work with Adam Tully, Ramiro Gallo, Brian Chin, honey.moon.tree, Justin Froese, Adra Boo, Beth Fleenor, Evan Flory-Barnes, Heather Bentley, Dawn Clement, the Seattle Rock Orchestra, Dr. Stephen Newby, Ben Thomas ,Paintings for Animals, Amy Denio, Okanamode SoulChilde, Brad Hawkins, Ahamefule J. Oluo, Wayne Horvitz, Jakob Pek, Trey Gunn, and dozens of others.